Women’s Month, the month of March, is a particularly significant one. As adults and as both women and men, we understand its importance and find ways to commemorate and acknowledge women that are inspiring and achieving. We need to start ensuring that our children are being taught to recognize the need for social, political and economic equality of the sexes. They need to see that women can infact do it all, and understand the ways society has in the past and present kept them from being all they can, so they can be the ones to end the cycle, even if only within their spheres of influence. What better way to start this process than being deliberate about acknowledging Women’s Month? Here are a few ways you can do that. Take time to talk about the women in your family and some of the powerful things they might have done. Talk about your mother’s achievements, your aunties’, yours and even your daughters’. It can be things as simple as managing a career and a home, or the ways in which they were able to build strong careers. Discuss some of your daughter’s aspirations and the ways in which they can work to achieve them. Look for titles by or about women and focus on them throughout the month. Start the month by explaining that you’ll be reading these books and highlight why. Make sure to bring out the importance of women’s day and women’s month. With your children under 6, you can read to them at least a couple of times a week. For your teens and preteens, decide on two or three titles that they will read through the month and take some time over meals or in car rides to discuss the titles. See a few suggestions from our children’s library below. Have your children pick a female role model and write them a letter. It can be a letter of appreciation or admiration. Give your younger children a few questions to guide their letter writing. You can edit the letter with them and perhaps add flowers or a gift to accompany the letter. For female role models that are inaccessible, your child can write a letter with ways in which they plan to emulate their role model in their own lives. You can bury the letter or keep it somewhere safe and open it a year later to see how well they are emulating their role model. Pick one weekend in the month and deliberately give of your time or money to a business or charity organization catering to women in particular. Some suggestions include Pearls for Her Uganda, Girl-EMED, Girls Not Brides Uganda and UN Women Uganda,where you can find several volunteering or donation opportunities. Choose a couple of powerful Ugandan women and dedicate time to researching and learning about them. 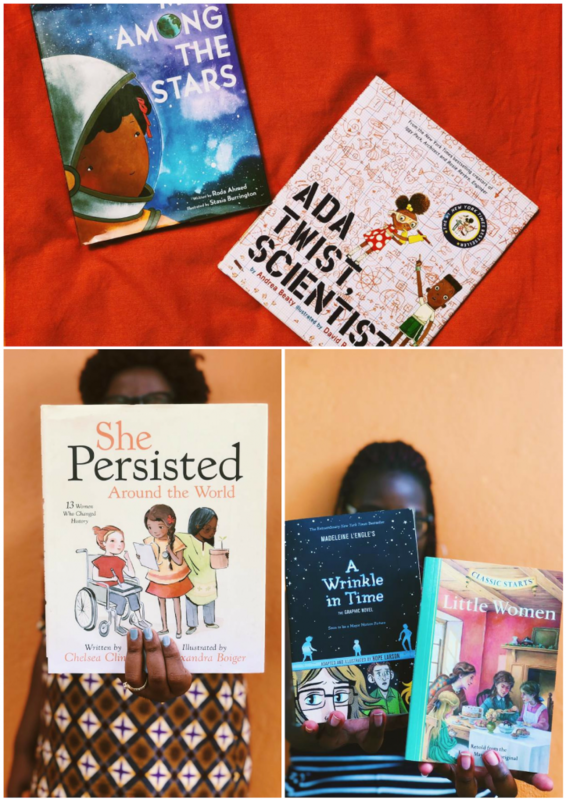 Depending on what your children are interested in, look for women that are powerhouses in sports like Dorcus Inzikuru and Susan Muwonge, in STEM like Mary Okwakol and Josephine Namboze, in law and advocacy like Julia Sebutinde and Lillian Tibatemwa and so many others. You can work at doing fun projects around them such as mind maps or character flow charts.